Celebrate Bach’s Birthday Tomorrow with Free Classical Performances in Public Spaces! You’ve probably heard the music of Johann Sebastian Bach (1685–1750) sometime in your life—on the radio, at the grocery store, in the background of a TV show. But have you heard it in the subways? 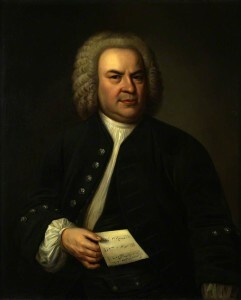 Tomorrow is Bach in the Subways Day (BITSD), a celebration of Bach on the 330th anniversary of his birth. Musicians everywhere will be filling not just subways but all kinds of public spaces, including several near Levitt venues, with free, live performances of his music, increasing classical music’s accessibility to the public. Since it was founded in 2011, the annual event has grown from one man’s quest to perform the Bach Cello Suites in New York City to an international movement spanning 129 cities and 39 countries. This Saturday, performances will be held on every continent except Antarctica, with participants ranging from Seattle, Washington, to Sydney, Australia, to Llandudno, Wales. Make sure performances are open and accessible to all. Musicians aren’t restricted to subways—they can play “wherever there are souls to hear the music,” including parks, street corners, airports and more. While BITSD is a celebration of Bach, it also aims to bring classical music to those who would not normally hear it, amplifying arts access for all. Decline donations and instead offer music as a gift. The organizers invite those who wish to participate to do so freely, with money removed from the equation. They simply ask that once a year, musicians donate their time and music and share their passion with the world. Just 20 minutes away from Levitt Pavilion Arlington, the Irving Arts Center will host a full birthday celebration from 7–8 PM complete with cake, a “pin the hat on Bach” game and a performance from the Lone Star Youth Orchestra. Though it’s a bit of a drive from Levitt Pavilion SteelStacks, the Bach in 10 event from 9 AM–12 PM will feature performances from various musicians and ensembles as well as educational musical activities for the whole family. 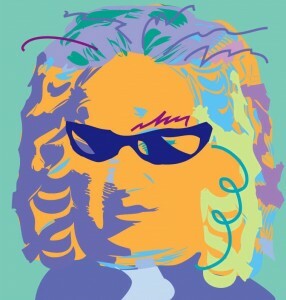 Starting at 10 AM, Bach Society Houston will host a 12-hour Bach marathon at Christ the King Lutheran Church in the city home to the future site of Levitt Houston. A couple miles down the street from Levitt Shell, mandolin and guitar group Duetto Memphisto will perform a selection of Bach’s greatest hits from 11:30 AM–1 PM. While there will be several events spread through the Los Angeles area, the closest to Levitt Pavilion Los Angeles is just under two miles away at Central Library, with performances from counter-conventional professional orchestra and 2014 Levitt Pavilion Pasadena community partner MUSE/IQUE (12:10–1 PM), double bassist Frederick Charlton (1–1:50 PM) and violinist Felix Hernandez (1:45–2 PM). Setting up shop at the site of Levitt Pavilion Pasadena will be trombonist Jonathan Gordon, performing Bach’s cello sonatas beginning with D Minor from 1–3 PM. If you’re looking to attend classical music performances on the other 364 days of the year, check the schedules of your local schools, symphony orchestras and Levitt venues! This year, there will be 400+ free concerts happening in 16 cities across the country, and Levitt stages have featured performances by both youth and professional orchestras. In the next few weeks, keep your eye out for the 2015 signature Levitt venue lineup announcements and check out our Levitt AMP website for updates on the Levitt AMP Your City Music Series! This entry was posted in Arts Access and tagged Bach in Our Subways Day, Johann Sebastian Bach on March 20, 2015 by Katie Huang.